A five-day campaign consisting of the PRETTYMUCH boys posing with their mini-mes culminated in the release of a new single, “Real Friends,” just over 24 hours before kicking off their Funktion Tour in Seattle. That timing was no accident, considering the track is largely an ode to tour life and the BEANZ, the dedicated PRETTYMUCH fanbase that can’t wait to see their faves on the road this fall. Since the release of “Real Friends,” the BEANZ are obsessing over the song’s lyrical shoutout to the Funktion Tour. That line has BEANZ getting all the feels about how the PRETTYMUCH boys view their fans as, well, real friends — not just fans in a stadium. Featuring photos of PRETTYMUCH and the BEANZ meeting, the “Real Friends” lyric visual looks back at past tours before the boys meet new and returning fans this fall. It’s even been deemed the Funktion Tour anthem as the BEANZ race to learn the lyrics. 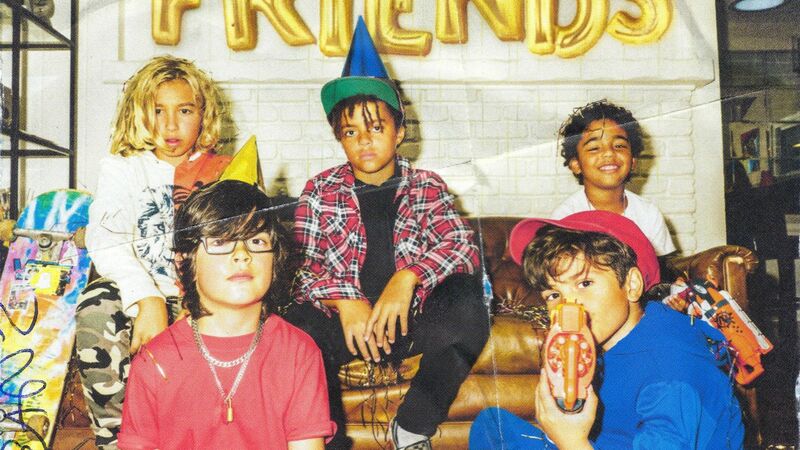 The nostalgia doesn’t stop there, with the “Real Friends” cover art featuring young, lookalike versions of Zion, Nick, Austin, Edwin and Brandon. The crew of little PRETTYMUCH boys, nicknamed MINIMUCH by fans, have inspired the BEANZ to share their own childhood photos. Check out the fan-favorite lyric video for “Real Friends” below and learn the lyrics before your local stop on the Funktion Tour.